AncestorPuzzles.com: Judy Garland: Our Cousin, Descendant of Loyalist Deserter & Spy! 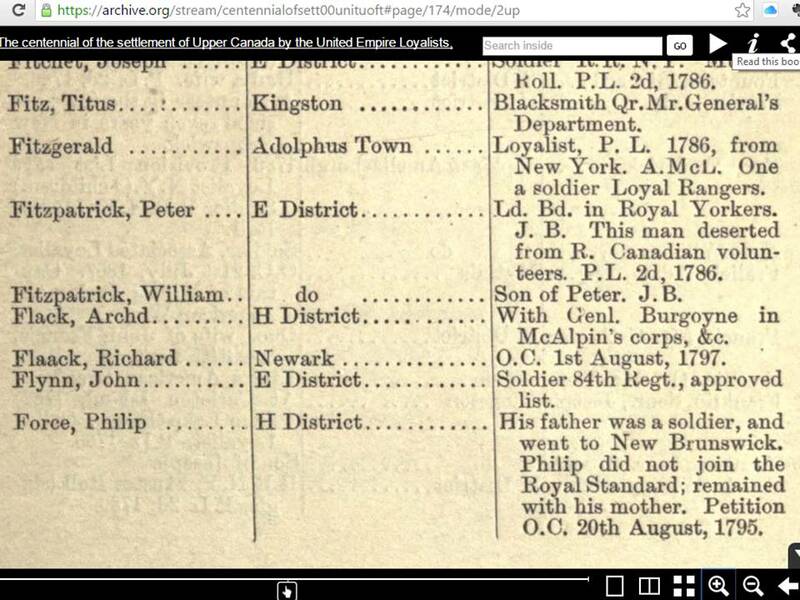 Judy Garland: Our Cousin, Descendant of Loyalist Deserter & Spy! Judy Garland is well known as a U.S. stage and screen super star. Did you know she was descended of a Canadian Loyalist family? 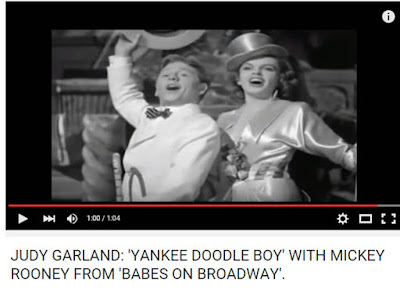 She certainly was convincing as a Yankee Doodle Dandy when she performed with Mickey Rooney in Babes on Broadway. We have taken an interest in her family history because she is my wife's cousin. The Loyalists were American families that pledged their loyalty to the British crown during the Revolutionary War. They became refugees to Canada during and after the war. 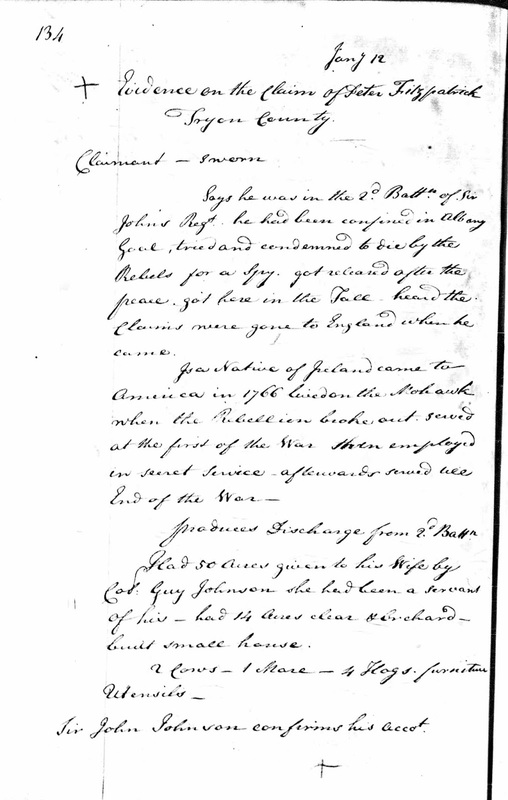 The British government gave land grants to these Loyalist families along the St. Lawrence River in Ontario. Similar to our Daughters and Sons of the American Revolution, the Canadians have a lineage society called the United Empire Loyalists. The war between the American Colonies and Britain, which lead to the Declaration of Independence divided families in the United States. Many of those wishing to remain loyal to the British crown lost property and possessions in the United States and fled into the Maritime and Central provinces, where they became known as the "United Empire Loyalists" or UELs. Ontario, known as Upper Canada, owes its founding families to the Loyalists who entered in the late 1700s, along with the Pennsylvania Dutch - German families primarily from Pennsylvania. The families living in the Atlantic provinces of Canada have been intertwined with the families of the New England states since the earliest times. In fact, the mixing of Canadians and Americans has been carried on to a surprising degree -- one example being that more than 25% of the families in Michigan today are descendants of Canadian ancestors. In addition, the expulsion of the French "Acadians" in 1755 led to the famous "Cajun" population of Louisiana and other southern states. Our common ancestors with Judy Garland are Hugh Fitzpatrick 1809-1878 and Margaret Ross 1807-1845. Ms. Garland remained very close to her Milne and Fitzpatrick extended family until the death of her Grandmother (Eva Fitzpatrick Milne 1865-1949) who lived with her in California until 1949. Here is a transcript of his claim. Abbreviated words have been spelled out. Punctuation has been added. Other words have been added in brackets for clarity. Says he was in the 2nd Battalion of Sir John [Johnson]'s Regiment. He had been confined in Albany Gaol [Jail], tried and condemned to die by the Rebels for a Spy. Got released after the peace. Got here in the Fall. Heard the Claims were gone to England when he came. Is a Native of Ireland. Came to America in 1766. Lived on the Mohawk when the Rebellion broke out. Served at the first of the War. Then employed in Secret Service. Afterwards served till End of War. Produces Discharge from 2nd Battalion. Had 50 acres given to his Wife by Col. Guy Johnson. She had been a servant of his. Had 14 acres clear & Orchard. Built small house. [Had] 2 cows- 1 Mare-4 Hogs, furniture, utensils. Sir John Johnson confirms his account. 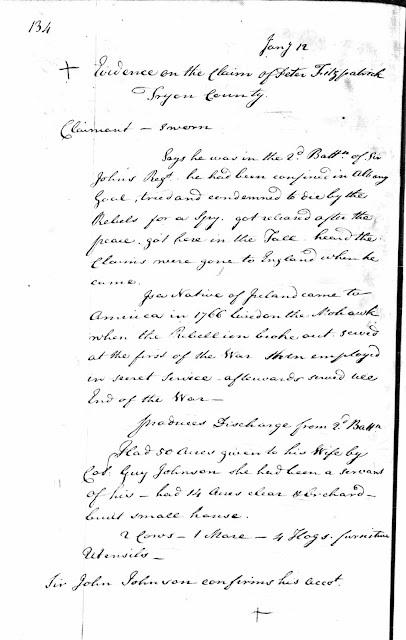 My description of documents like this one is: Genealogical Gold Mine! I loved 007 as a kid so it was with great joy that I found that we have a member of "Her Majesty's Secret Service" in our family tree even if he was on the wrong side! So how many of you Yankee Doodle Dandies can claim that one? I did notice that others on Ancestry.com have taken a big interest in Judy Garland. I looked at her profile in our family tree and there were 105 Ancestry hints. But only 9 family tree hints showed so maybe she was not as popular as I thought. There are 25 other family trees at Ancestry that claim Peter Fitzpatrick as an ancestor so he wins the popularity contest at least for now. It probably has something to do with the fact that we show Judy Garland under her original name, Frances Ethel Gumm. She shows up in the 1930 census in Los Angeles at age 7 as Frances E. Gumm but she is Judy Garland at age 17 in the 1940 census. There is a link in most Ancestry.com records to see how many people have attached that record to their trees. When you click on this link in the 1940 census for Judy Garland, you can see that 727 people have Judy Garland in their tree. Sorry Peter, you lose! Please accept my best wishes for your genealogical travels: "follow the yellow brick road" to amazing ancestral discoveries. Mugbooks- Genealogical Gold or Tall Tales?